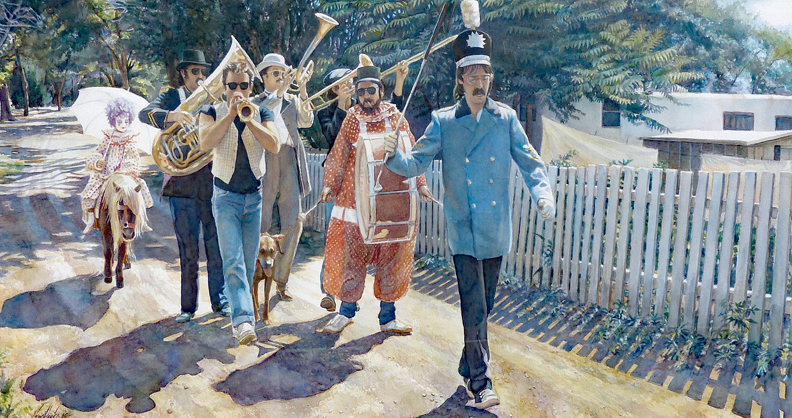 "Marching To A Different Drum"
Framed size is approximately 26.5"h x 46.5"w.
This unusual watercolor features Steve Hanks wearing a drum major's outfit and leading a band made up of his high school friends. His oldest daughter, Mandy, is dressed as a clown and riding a pony. 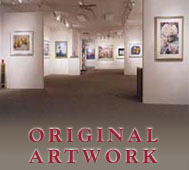 Steve came up with the idea for this painting after his friends asked when they would be included in one of his paintings.